Looking at buying a new wetsuit? Or just getting into surfing and looking for your first wettie? We’ve put together this general guide on how wetsuits work, and an explanation of the different features you can get in a wetsuit to help you choose the right suit to get you in the water, and stay warm! WHAT ARE WETSUITS MADE OF? Wetsuits are made of neoprene, an elastic synthetic rubber material which has good insulation properties. Winter and premium wetsuits often have a lining material such as merino wool or polyester that give extra warmth and draw water away from the skin. 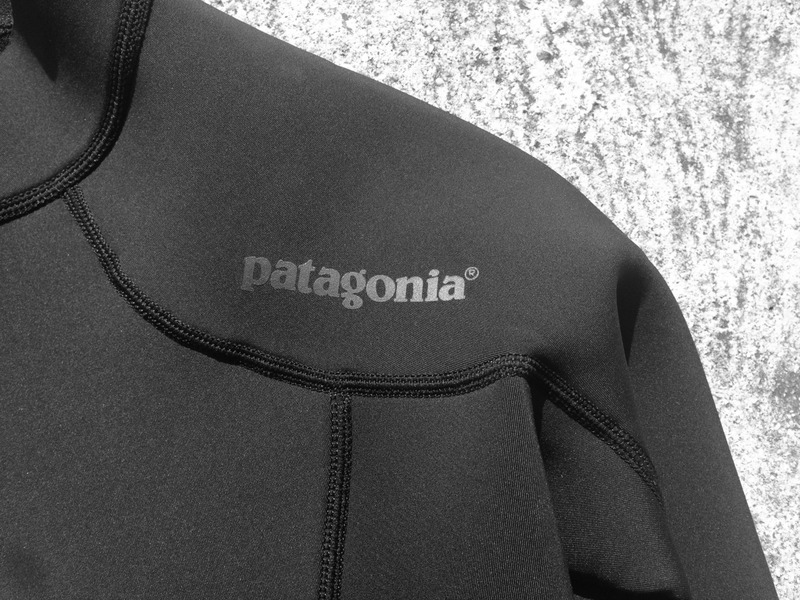 Wetsuits are designed to keep you warm when surfing in cold water. They work by catching a thin layer of water between your skin and the neoprene. Your body heats up the water and keeps you warm. It’s super important to get a wetsuit that fits properly otherwise you will get cold water constantly flushing the warm water out. Full Suit or Steamer – covers the whole body to ankles and wrists comes in different thicknesses for summer or winter. Short Arm/Long Leg – as it suggests, the suit goes to the ankles but cuts of at the elbows. A great style for spring/summer/autumn. Spring Suit – cuts off at the knees and elbows, perfect for those warm summer days. Like anything you wear, different wetsuit brands and styles have slightly different cuts and sizing, and different suits will fit different body shapes better. It is always important to try on a wetsuit before you buy it, and we recommend trying 2-3 suits to get a comparison. 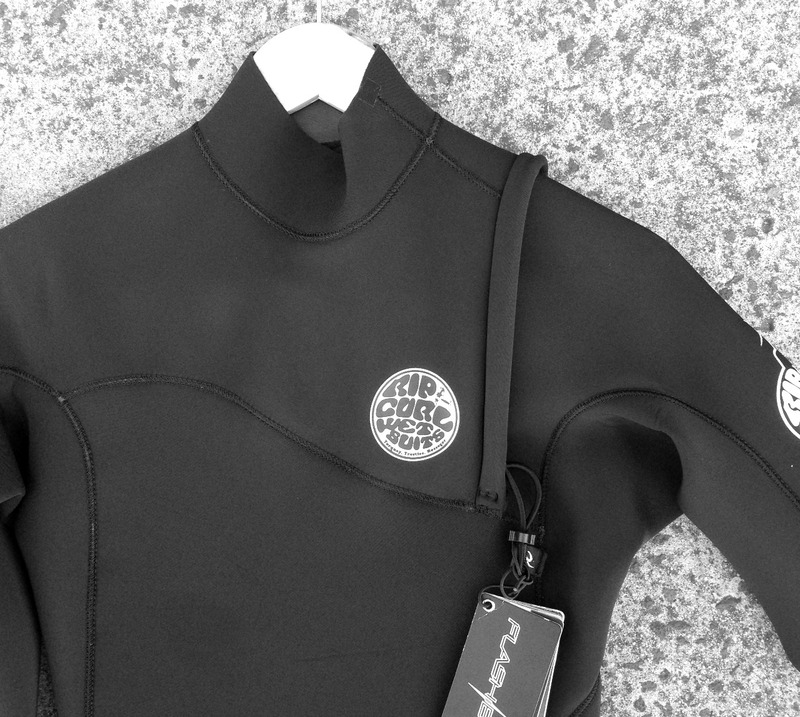 – Your wetsuit should to be skin tight with no bunching of neoprene. – Try and get a suit that sits flush to your skin all over your body, particularly in the lower back over your kidneys. 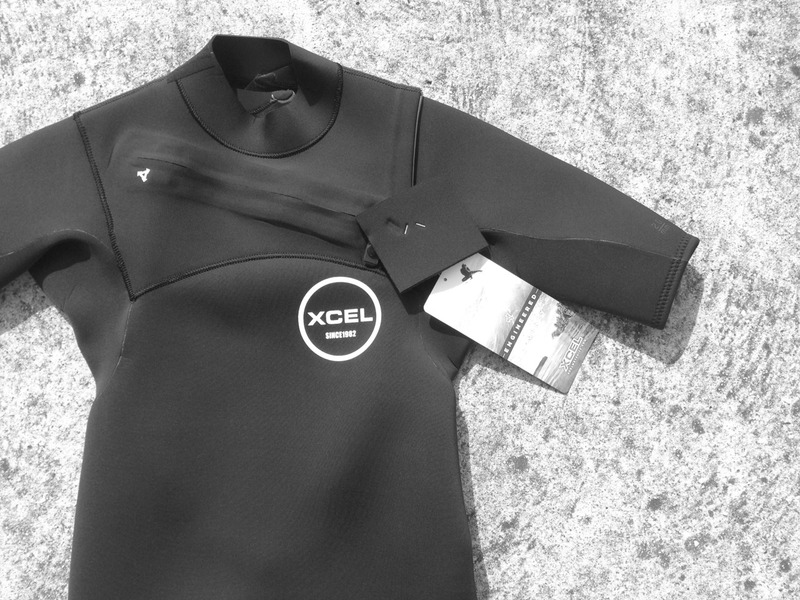 The neoprene acts as insulation to against the cold water, so as a general rule the thicker the neoprene, the warmer the wetsuit will be. 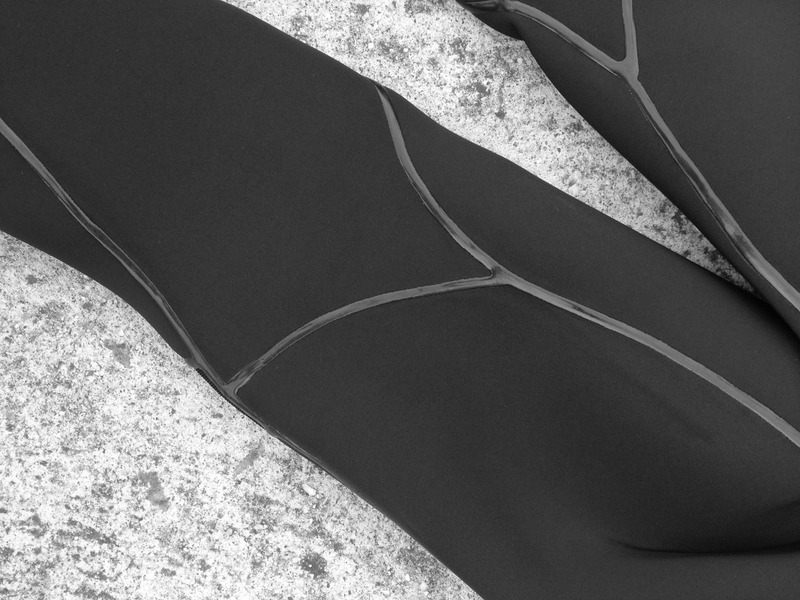 However, thicker neoprene also takes away from the flexibility of the suit. 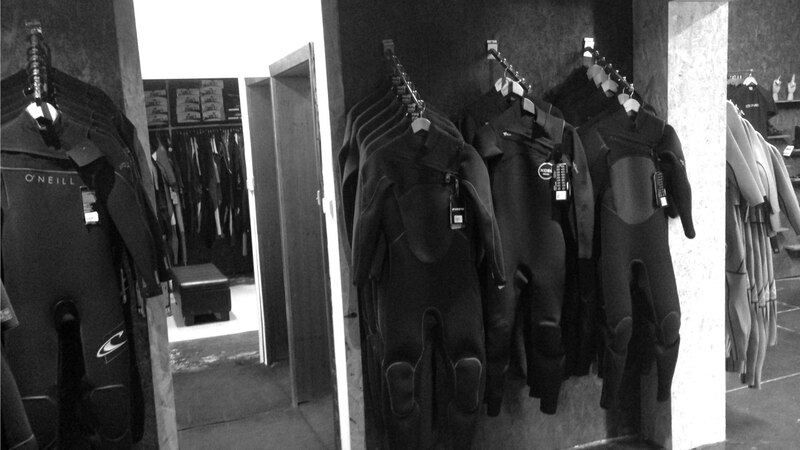 You will see wetsuits in our online store described as 2/2, 3/2 or 4/3. These numbers refer to the thickness in millimetres of the neoprene in the torso, and legs/arms suit. 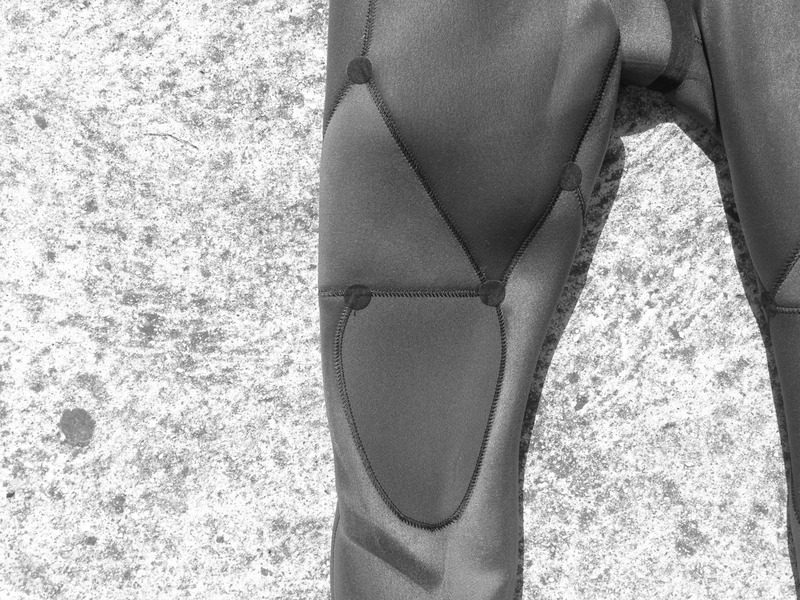 For example, in general a 3/2 suit has 3 millimetres of neoprene in the torso area (sometimes extending through the upper leg or full leg in warmer suits) and 2 millimetres of neoprene in the arms/legs. This is to keep your core warm and give you the flexibility you need in the arms and legs to surf. The zipper on the wetsuit allows you to get in and out of the wetsuit, however the zip area can also allow cold water and wind to get into the suit as well. There are three different wetsuit entry systems on the market at the moment, each with pros and cons. 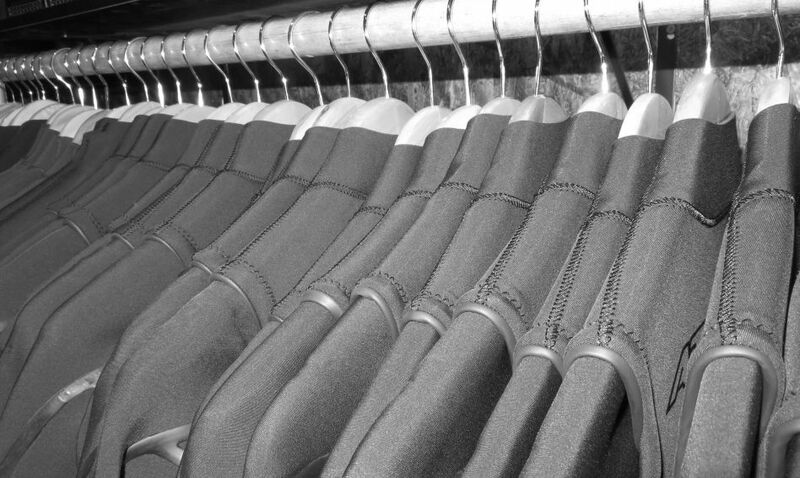 The most important thing is to try on a suit, and weigh up the pros and cons to work out what is best for you. 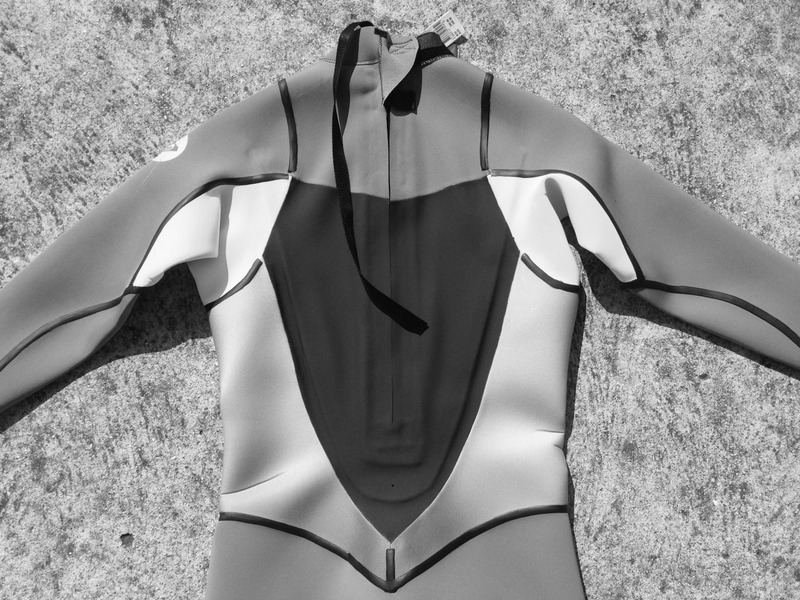 Back Zip – The back zip has been the standard wetsuit entry system for last few decades, but lately has been overtaken by the chest zip. It has a long zipper down the back of the suit and is the easiest suit design to get in and out of. 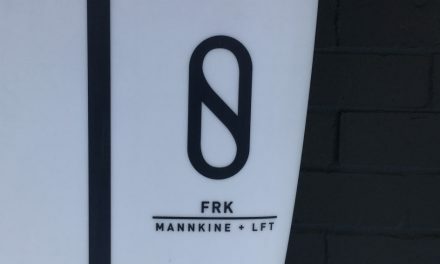 However the long zip area can allow water to get through the seams and some surfers find the zip down the back restricts their movement slightly. Chest Zip – The chest zip is now the most popular entry system. When unzipped, you enter through the neck area of the suit. While some people find the chest zip more difficult to get in and out of at first, it definitely gets easier after a few surfs and advancements in neoprene technology in the last few years have made wetsuits a lot more flexible. The advantages of the chest zip are the smaller zip area, which means less chance of water getting through the seams, and with no big zip running down the back, it is much more comfortable and flexible to wear. Zipperless – Recently most wetsuit companies have started making zipperless wetsuits, where you enter through the neck area. The benefits of having no zip at all is that no water can get in through the zipper, and there is a lot more flexibility in the suit. The downside of no zip is the difficulty of getting in and out of it! 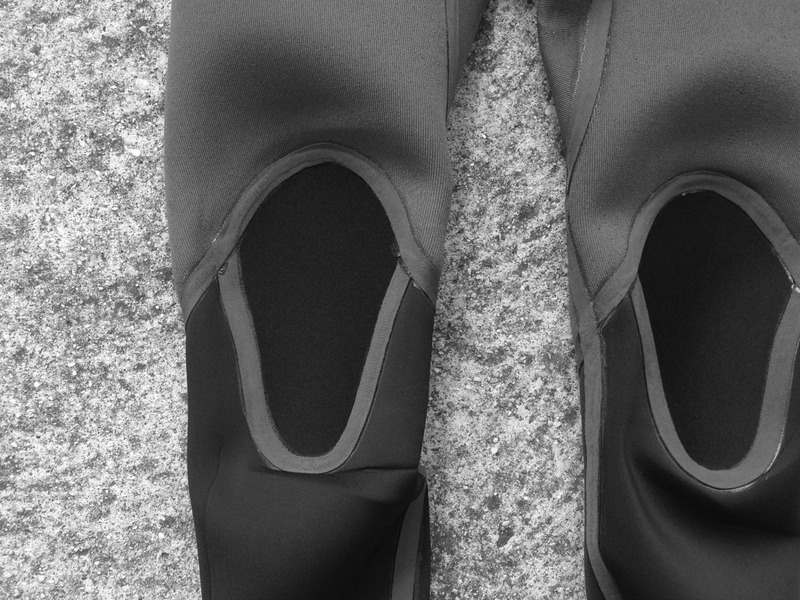 Another important factor in avoiding those pesky cold water flushes is the seams of your wetsuit. All suits need to be stitched together in some way, and that usually means a needle and thread. Unfortunately the needle makes lots of little holes in the wetsuit which water and wind can sneak through. 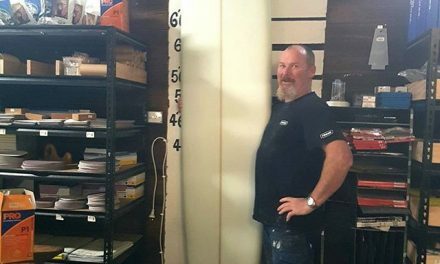 There are a few different ways wetsuit companies have come up with to combat this so here is an overview of the different types of seams. Most suits have one or a combination of these. Overlock Stich – Pretty much obsolete now, but can still be found in budget suits. It has big stiches on the inside of the wetsuit that stick out of the neoprene which can be uncomfortable. It is a very strong stitch but does leave lots of little holes that water and wind can get into. It is usually cheap and durable, and is good for a summer wetsuit or as an entry level suit for beginners. 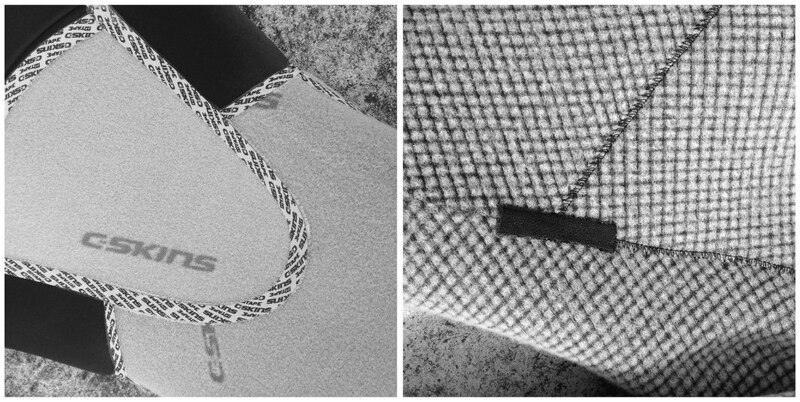 Flatlock stich – The flatlock stich is a zig-zag close stitch seam which is comfortable and flexible, but it can leak. It is great for summer suits. Glued and Blind-Stitched (GBS) – The neoprene is glued together and then blind stitched over the top. A blind-stitch is when the needle never penetrates the neoprene completely so there are no holes. The GBS seam keeps you warm by trapping a small layer of water in the suit, and minimising cold water flushes. This type of seam is found in warm and premium wetsuits and is good for winter or summer suits. Spot Taped or Fully Taped – Some GBS suits also have spot taping, where stress points in the suit are taped on the inside. (A stress point is where three or more neoprene panels intersect.) A fully taped GBS suit has all the stiches completely covered on the inside of the suit with a special tape. This increases the durability and warmth of the suit, and reduces seam leakage as the suit ages. However it slightly decreases the flexibility of the suit, and is very time consuming to make, therefore comes with a price tag. Great for winter suits and premium suits. Welded Seams/Liquid Taping – The welded seam is when the neoprene is glued together, and then a rubber strip is welded onto the seams on the outside and/or inside of the suit. The suit is fully sealed and air tight, which means no water can pass through the seams keeping you toasty warm. The welded seam also has high flexibility as the rubber seam will stretch with the suit. Welded seams are usually found in premium and winter suits. The first thing you need to ask yourself when buying a new suit is “where and when am I going to surf?” This will help determine the water temperature you will be in for, and that is the first thing you need to consider when choosing your suit. 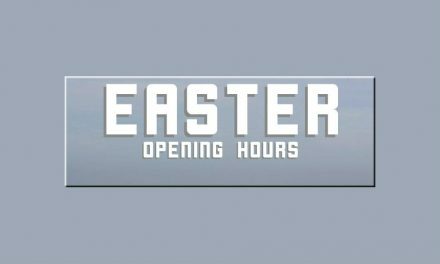 For Victorian conditions, summer usually means a 2/2 Spring Suit on the hottest days, or a 2/2 or 3/2 in a Full Suit or Short Arm/Long Leg to take you through spring/autumn. If you want to stay in the water longer than about 20 minutes in the winter months, a 4/3 suit is definitely the way to go. It is also important to consider what type of seam and entry system you have in your winter suit. Winter is when you really want to minimise cold water flushes and wind chill, so a fully taped and sealed wetsuit with welded seams is highly advantageous. Extra accessories such as booties, hoods and gloves can also be a good idea if you tend to feel the cold.